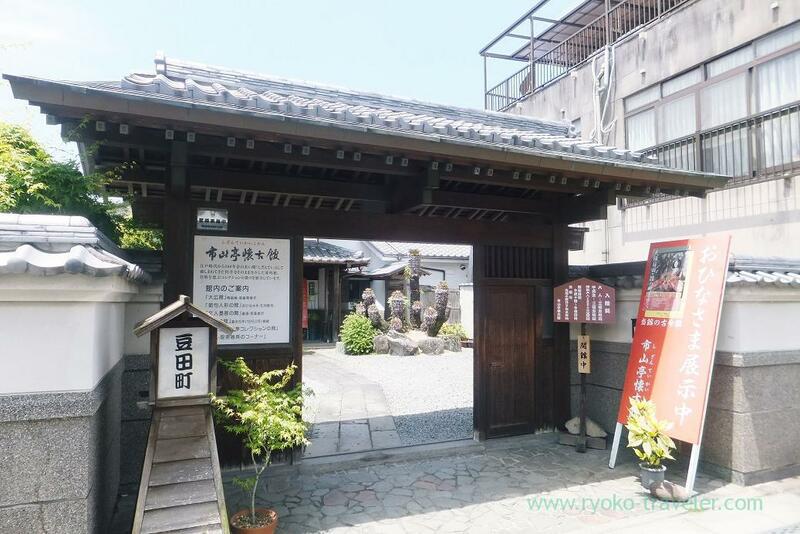 Amagase onsen – Hidden onsen paradise ! It took about one hour from Amagase to Hita station by express. 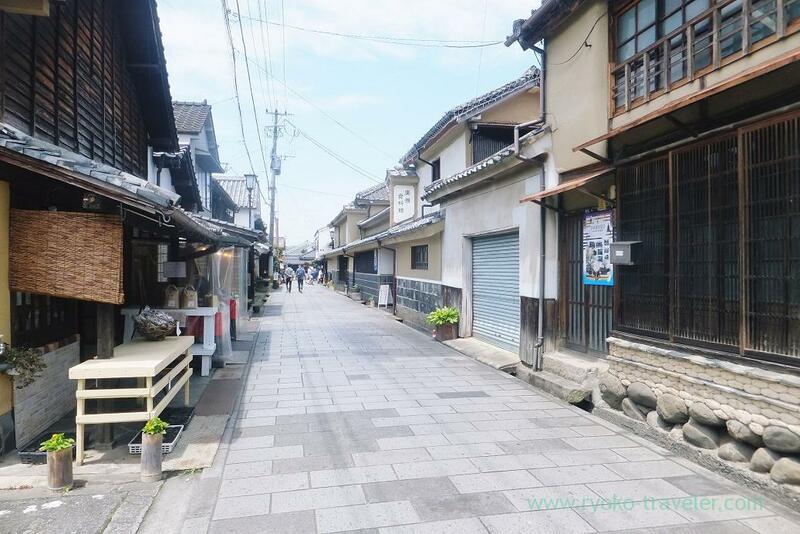 I had wanted to visit this old town named Mameda-machi. 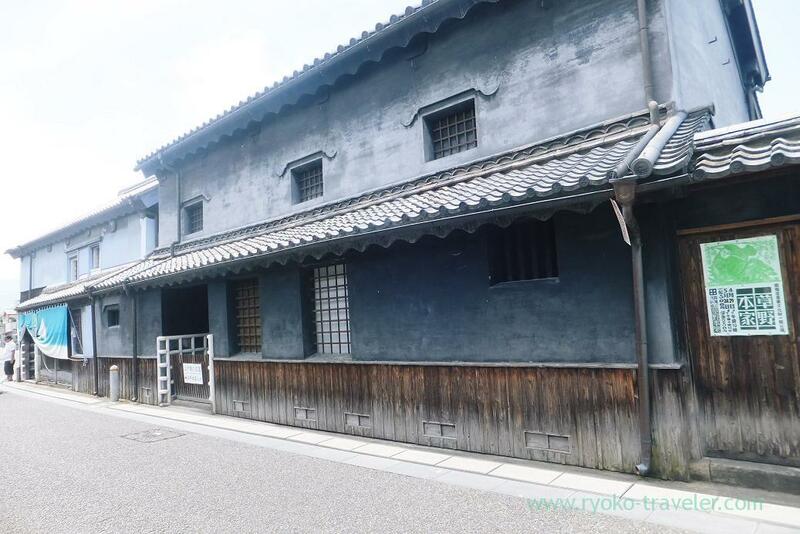 Mameda-machi still have many old houses that was built in Edo period and those were designated as national important preservation district of historic buildings. 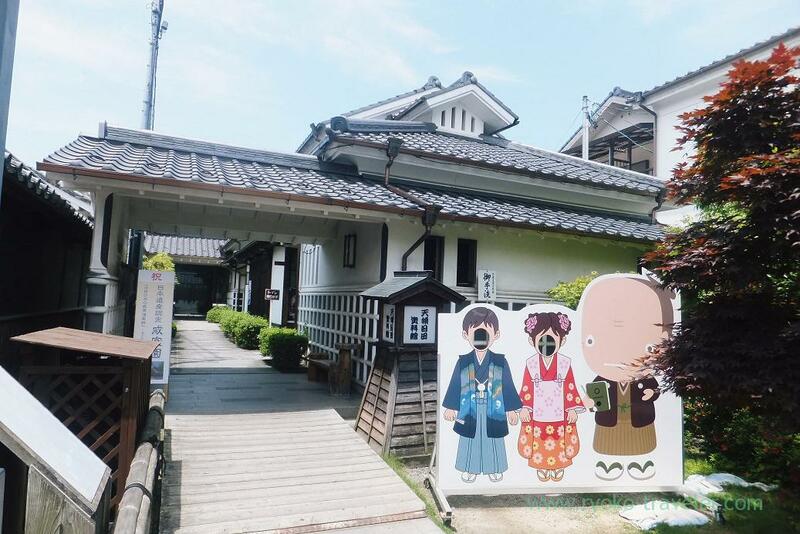 I visited Yufuin, Amagase, Hita and Beppu that time during only three days, so I didn’t have much time to spend in this town. But just seeing this town was enjoyable. 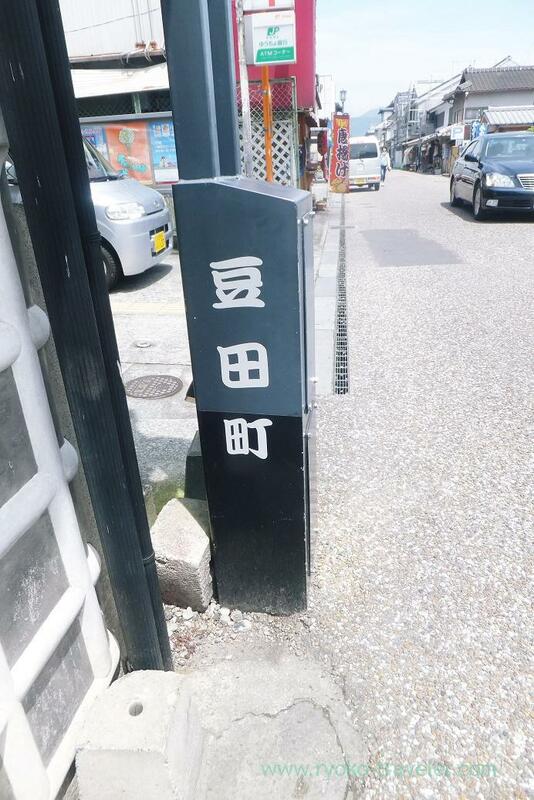 This house store “yamaboko”. 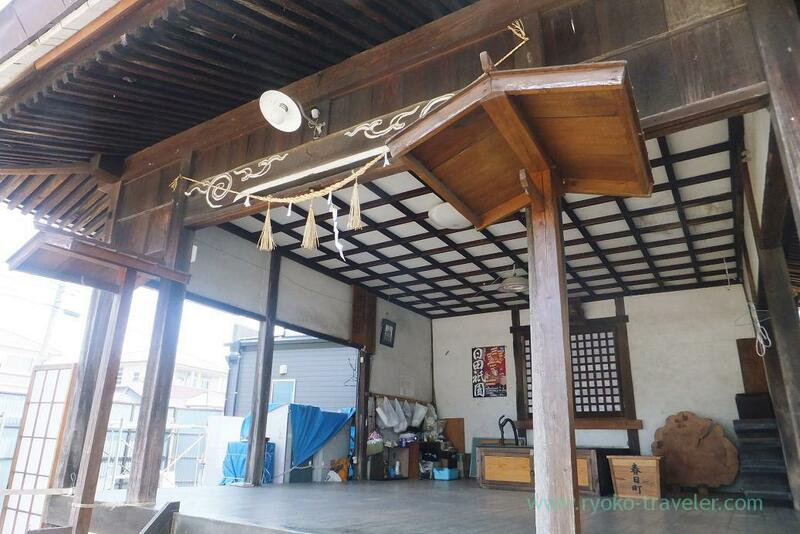 Yamaboko is festival float mounted with a decorative halberd for Hita Gion Festival. 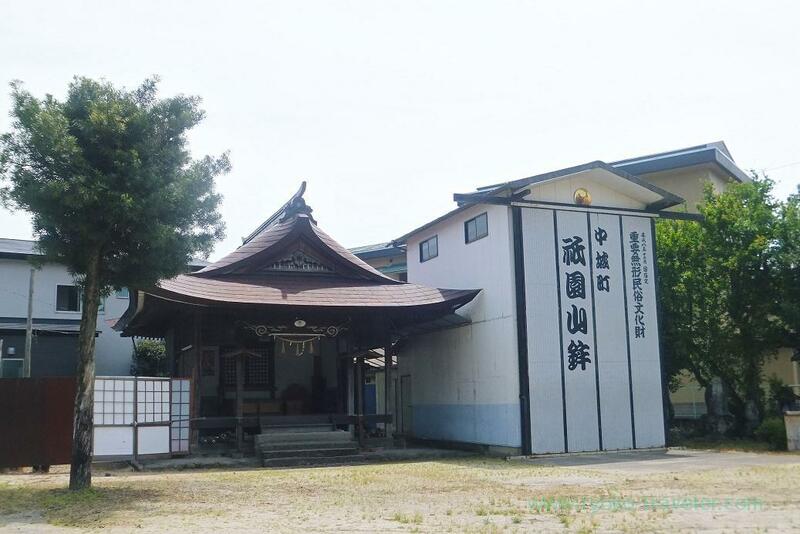 Hita Gion Festival is designated as national important intangible cultural properties. 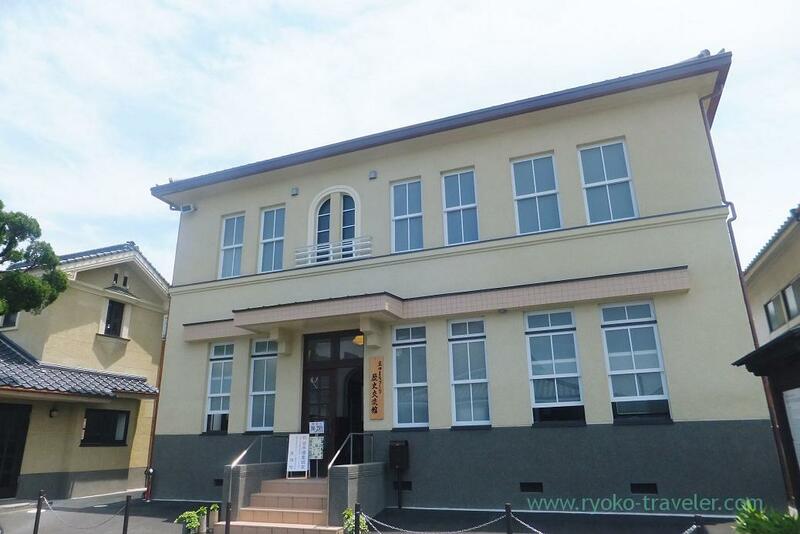 Many of those historic architectures are now souvenir shops and museums. 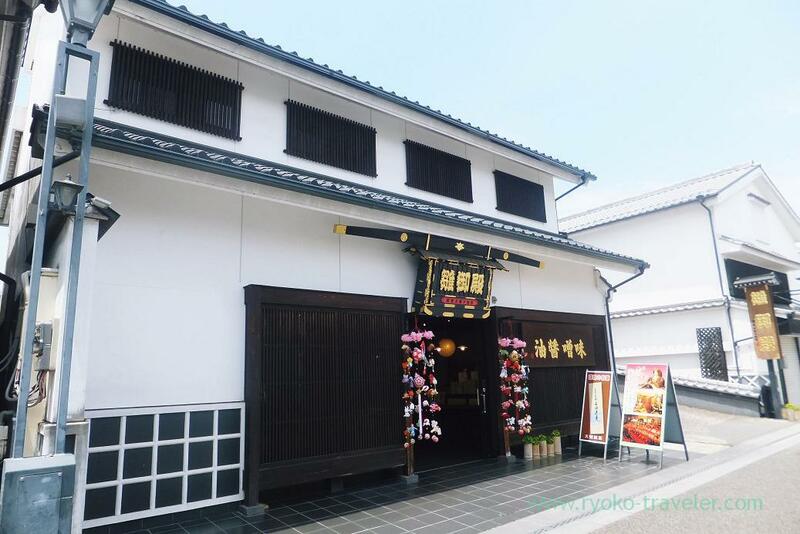 The house of the oldest merchant in Hita area. 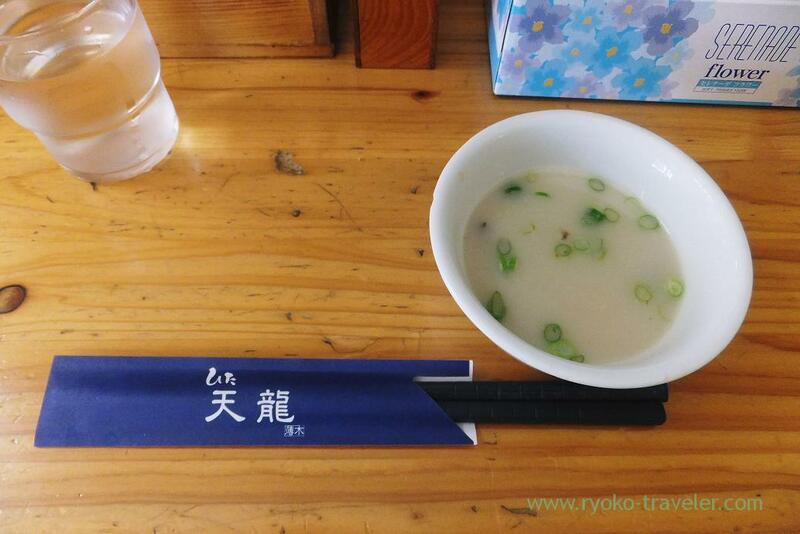 It was first-class Japanese restaurant in Edo period. 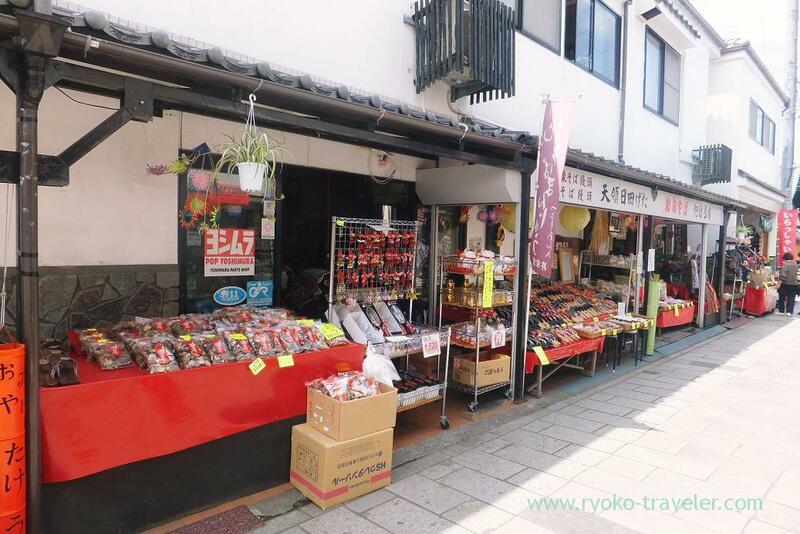 I bought yokan at there 🙂 It was tasty. 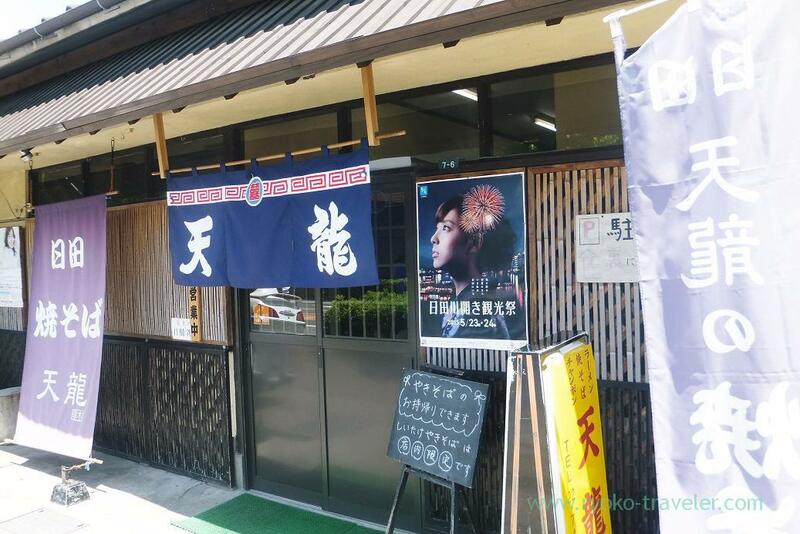 Before going back to the station, I had lunch at this shop. 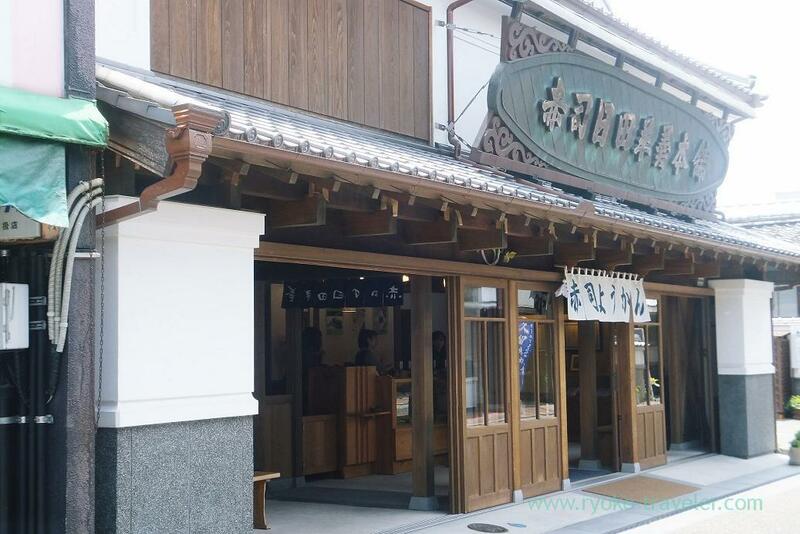 Hita-style Yakisoba is well-known as Hita’s specialty. 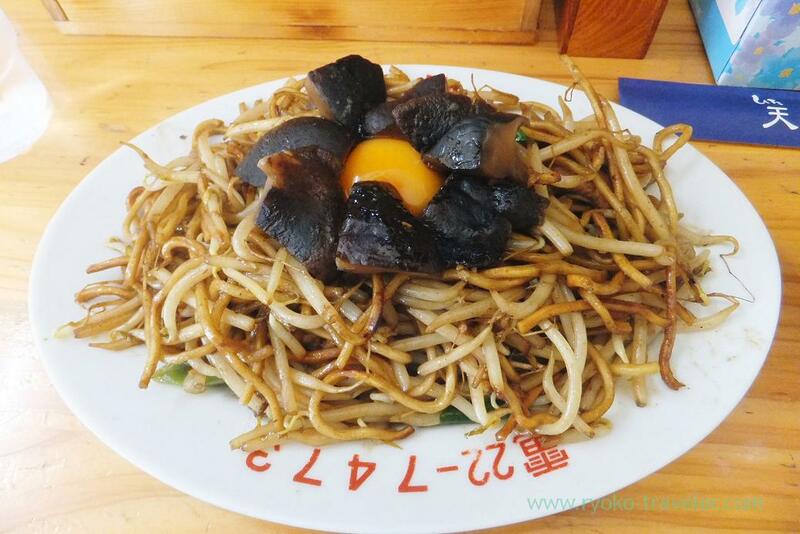 Especially, this shop is proud of this Shiitake Yakisoba (椎茸焼きそば, 850 yen). 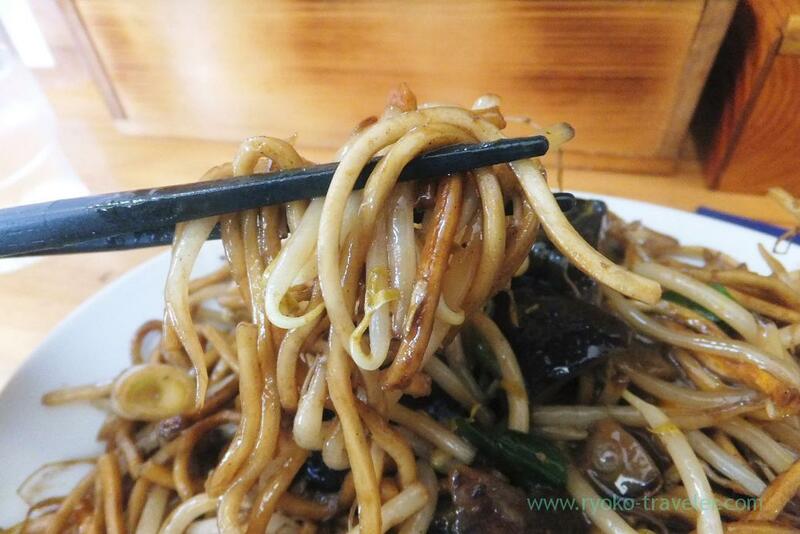 Hita-style yakisoba – At first, it is baked on the plate like pancake and it makes noodles crisp. After that they add water (or soup ?) and break it up. So, the noodles become short like this. Part of it was crisp, but another part was soft. It was fun ! And then I went back to the station and got on the express to Oita station.